If you are looking for the best way to bypass an iCloud account or even remove it completely, you will find this article very helpful. We have outlined the top 5 iCloud removal services that work very well. We hope you find the right one for you. This service is one of the most popular online iCloud removal services online. It works very easily. All you have to do is visit http://www.officialiphoneunlock.co.uk from any browser and provide them with the device’s IMEI number. You then make payment for the services and wait for the device to be unlocked. Review: It is a professional service that works and very easy to use. It also has a good reputation as one of the best in the business. The only problem is that you have to pay for the service and the price will depend on the iPhone model you need unlocked. This one is not a UI tool and as such will allow the user to run their own iCloud bypass server. It is also one of the best in the business with an easy to use procedure and almost 100% efficiency. It may be free to use but you may be required to complete a survey before you can access the download link for it. 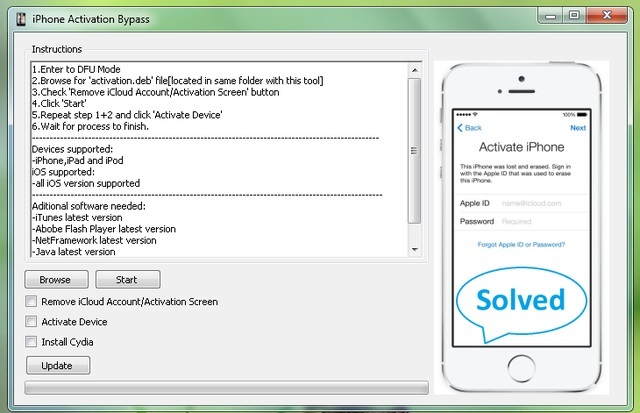 This is another iCloud bypass tool that will work for just about any iPhone model. It is also very easy to use and works very well. But the one thing we’ve found endearing about this service is that while many others will charge a fee to unlock the device, this one is completely free. The only problem is that the website is a little cluttered and you may have a hard time finding your way around. There are also no user ratings for the site so we can’t really vouch for its efficiency. 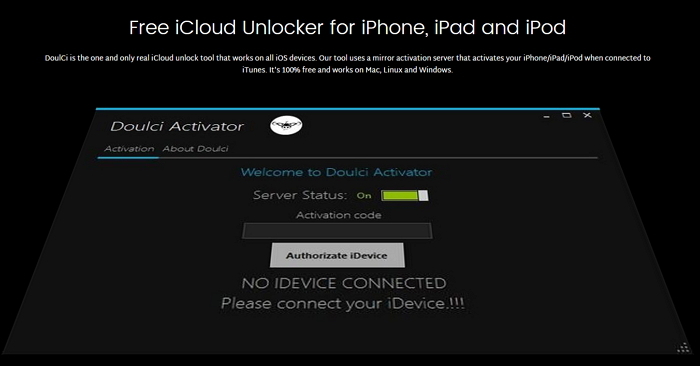 This is another great tool to help you unlock your device. It is easy to use and very effective. It comes with a simple to follow tutorial just to make sure you don’t get stuck when trying to use it. The only problem we’ve found with this one, is you have to download software and there is no Mac version - it is only available as a Windows download. This one connects you directly to the apple servers to activate iCloud. It is also very easy to use and supports iPhone X/8/7/7 Plud/6S/6/5. The biggest advantage with this service is that you will find support around the clock should you have any issues using it. It is however more complicated than all the other tools we have seen above. Most people said they had a hard time trying to use it.